Hit the road. Worldwide 4x4 adventure driving tours. 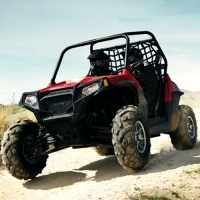 Hold on tight as you drive 4x4 vehicles on an exhilarating adventure tour through some of the world’s most challenging terrain. Discover fascinating cultures and see amazing sights on a unique trip along hidden trails that will test your driving skills in tough 4x4 vehicles. From long weekends to two-week trips, you’ll be led by our friendly expert guides with inside knowledge of the terrain, backed by full medical and mechanical support. And with carefully-chosen accommodation to relax in at night, you’ll wake invigorated and ready for another day of driving thrills. We’re a UK-based, registered and licensed operator, and a member of the Travel Trust Association, so you and your money will be looked after right from the start. Pick your perfect driving adventure from our range of worldwide destinations below. 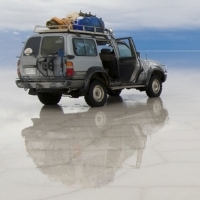 Follow in the wheeltracks of BBC's World's Most Dangerous Roads in tackling El Camino De la Muerte - the road of death and driving across the worlds largest salt deposit, the stunning Salar De Uyuni. A long weekend driving the awesome Polaris RZR 4x4 buggy in the last remaining wilderness in Europe - the Carpathian mountains of Transylvania.